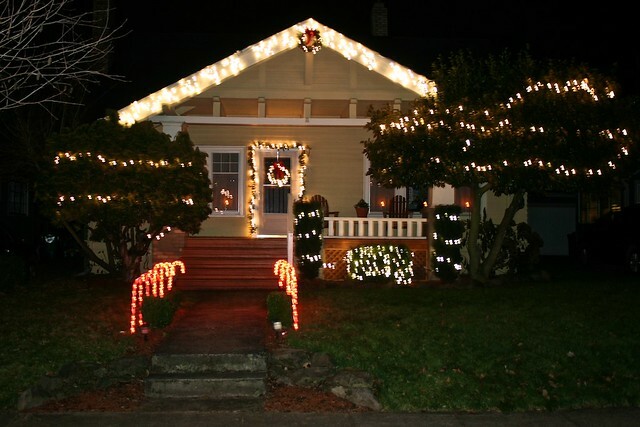 The first step was to decorate the outside of the house. We might have been a little excited. We might have been thinking about how we'd decorate for the past year. We might have driven through our neighborhood last year before we moved in to check out the competition. Shhhhh. After putting up the tree (we're traditionalists and go real every year, and probably always will) the last step was to find a nice way to display the many wonderful Christmas cards sent to us from family and friends. After outgrowing a couple different locations, we finally settled on displaying them on the buffet in our dining room.